So finally after many months I have played through the entire The Witcher trilogy one after the other. Starting in the middle of June with The Witcher it has taken me two months to get to the stage where I can put up the review for the final game. I still have both (apparently quite large) expansion packs to do for this game but I do tend to have a bad habit of rabbiting on when reviewing games so will do the reviews for those for another time, assuming of course the expansions actually feature horror elements to them. Spoilers abound for previous games in the series, as well as minor spoilers for this game. For someone who has only played the games and never read the books they were based on it felt like a bit of a slap in the face to discover Geralt now had his complete memory. Before the player discovered things at the same pace as the character you play as, now though suddenly there are no end of references to adventures he has done in the books, I lost count of the sheer amount of characters who it is assumed I knew but was totally clueless as to their importance, aside from a few notes in the glossary. Another facet of this is Yennefer, over the course of the previous two games I had fostered a relationship with Triss and so felt frustrated at the lack of dialogue choices given whenever I encountered Yennefer who I really did not like at all. In that respect at least the game does give you plenty of leeway to rebel and it all ended as I wanted it. The Witcher 3 is by far the largest of the three games, my overall play time that included all side quests was ninety seven hours (not including the DLC), compare that to the roughly twenty hours each of the first two and that's quite an increase, I admit that around half way through this my enthusiasm started to flag, was quite exhausting doing all three games one after the other! I had heard this one was open world and that is kinda true but not how I expected, instead of an entire world to explore you have a giant region of the northern kingdoms, the isles of Skellige and a handful of smaller locations. This first disappointed me but my goodness the core area of Velen and Novigrad is pretty damn huge. Once I realised this wasn't to follow a similar format to Dragon Age: Inquisition (that of lots of smaller open world areas that eventually felt a bit repetitive) I did feel happier, though both games have a strangely similar plot at times. So this is an action RPG like the games before but on a larger scale. While it is all bigger it has resulted in more re-used assets. The Witcher featured many similar character models for different people, here that quirk comes back, I lost count of the amount of identical looking old men or children I came across, really pulls you out of the experience. Also dropping the linear nature of the second game meant that locations felt more bland, there is absolutely nothing in the entire game that can compare with the feeling I had walking around Flotsam, all felt more game like. Thankfully the music is at times superb, and the voice acting for the most part enjoyable, with only a few weird sounding voices. A good example being the old women characters who nearly all sound like they are being voiced by the same young woman. The graphics are not bad at all, especially the scenery, but it is the weather effects that really impressed with moments, especially during sunsets and sunrises where I had to stop what I was doing and take a picture. To get around the huge world you have a horse, one who came to be the bane of my enjoyment. The horse is quite simply the most irritating thing about the game, I hated it, it was forever getting stuck on scenery, ignoring my calls to get it to come towards me, and it frequently would abruptly slam to a halt for no reason at all. Needless to say I spent most my time on foot instead; far more time consuming but a lot less annoying. The plot is not really anything too special, a search quest for Ciri takes up a lot of it with you going various places, completing a load of quests only to find out you had just missed her and heading to the next location. At times you do get to play as Ciri though, these four or five times were a lot of fun as she fights a lot differently than Geralt. Politics plays a large part again in the story, the background of a huge war being fought between mad King Radovid and the emperor forever affecting the world around you. But what of horror I hear you ask? There is of course a tonne of monsters to fight. 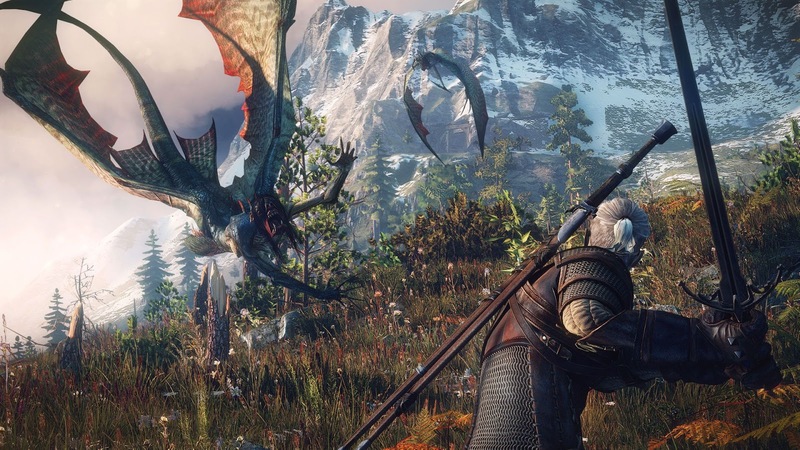 Witcher contracts take up a large amount of side quests. 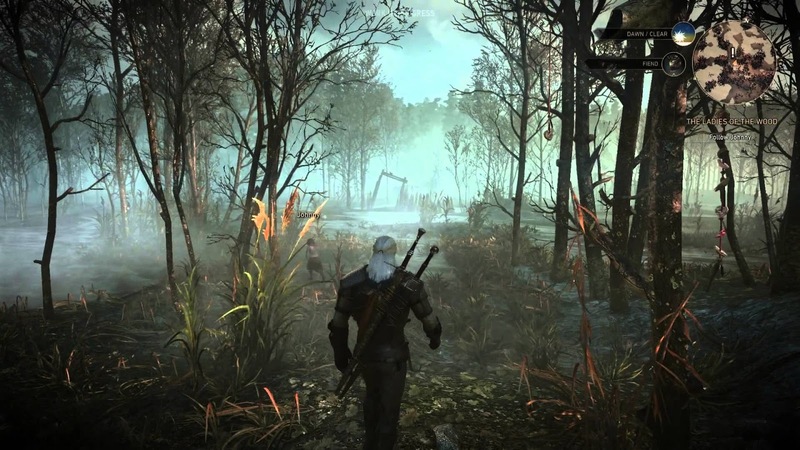 In these you gather information about a creature and then use your witcher senses to track down the beast and slay it. These range from griffins to vampires to trolls, kind of similar in style but fun enough to do. 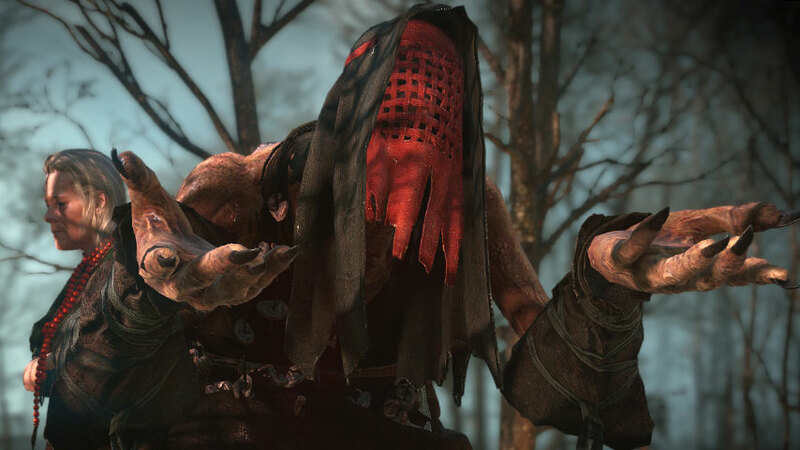 There are a few purely horror filled quests, the most unsettling revolving around the women of the woods; three ancient witches who reside in a swamp. Discovering just what they do to the children offered to them, as well as discovering their real forms was pretty cool. Later in the city of Novigrad there is a large storyline that has Geralt trying to hunt down a gruesome serial killer, another one that I really enjoyed. The Wild Hunt at first really fascinated me, and their early appearances did not let me down, I had assumed they were an undead army but the reveal that they are far more mortal made them a lot less fearsome in my mind. There are also lots of side quests based around werewolves, vampires, haunted houses, and demons, all of which were again fun to do. Having so many side quests meant that by around the half way point I was hideously over powered (playing on normal), it was a shame that this made so much of the game very easy, I wish they had lowered the experience gained for doing some of the quests, especially a key story mission that saw me go up four or five levels at once for no good reason. Combat is fun, you again have both a steel and silver sword, as well as access to the usual magic (fire, wind, shield, trap and confusion spells). You can repel enemies attacks as well as dodge around and roll. You also have bombs and a crossbow but I barely ever used these. With so many quests to do it can be overwhelming at times, especially when the map is filled with question marks that indicate little things to clear (such as clearing out a monster nest or liberating a village). Pro tip though! 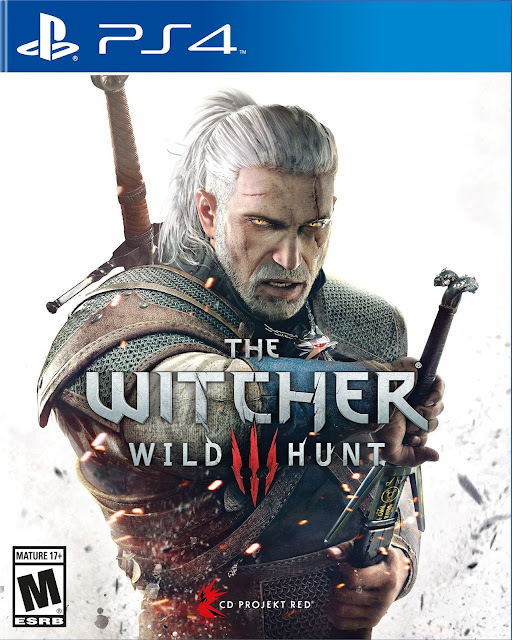 There are so many that they really sapped my energy and love for the game, it was only after making the decision not to bother with them that I again started to really enjoy The Witcher 3. As such my advice would be...IGNORE THEM!! Honestly, they are a giant time sink and are barely ever worth while. I am keenly aware how much I can write when reviewing RPGs so will end here, maybe popping back if the expansions are worth talking about on a horror blog. So much I have not even mentioned, like the sailing parts and the addictive card game Gwent. If you have played the other two games then you need to play this. If you haven't then there is enjoyment to be had here, just don't expect too riveting a story, and expect to be confused by the huge amount of support characters as well as lengthy load times. Not the best RPG ever but there is fun to be had here for sure, a very well polished game.